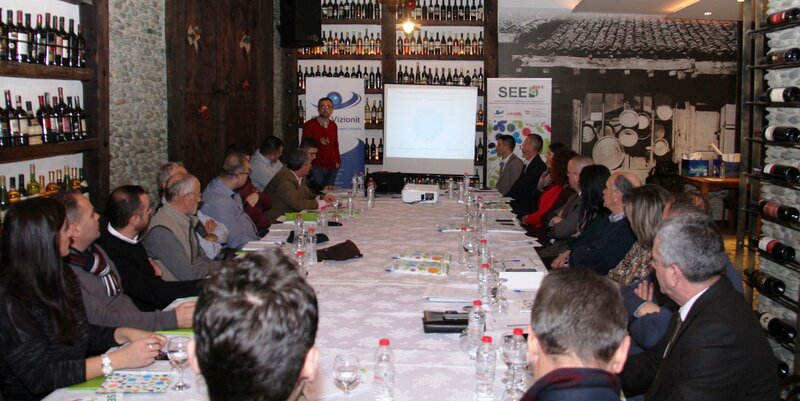 21 December 2018, Gjakovë - The first workshop of local council for employment in the municipality of Gjakovë was held in the framework of SEED II program "Support to Education and Employment Development - SEED", which is financially supported by the Austrian Development Agency and implemented by the Syri i Vizionit organization. The purpose of the Local Employment Council is to influence the orientation and harmonization of local policies, programs and education services, including internships, counselling and career reorientation, to create a quality offer that will meet the growing market demands of local and regional market for qualified staff. Participants in this workshop of the local council for employment are representatives from the executive and legislative of the Municipality of Gjakovë, representatives of the business community, vocational schools and universities, civil society, employment offices, chambers of commerce and individuals with professional associations, who during this workshop have worked on drafting the action plan for employment in the municipality of Gjakovë.